IGNITION ISSUES MY FIRST POST! Hello all! 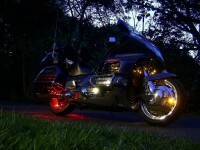 I have a 1988 Goldwing that I unfortunately, dont get to ride as much as I would like. It has 43,000 miles on it with the upgraded alternator. Last year when I parked it, it ran fine. This summer I found a miss and locked up brakes when I started it up and tried to move it. I rebuilt the brake calipers and installed new ignition wires and plugs. While in there, I tightened up the carb boots and checked for vacume leaks, but did not find any. She runs great above 1000 rpm, but has a big flat spot off idle and the idle hunts. If I have the idle speed screw turned all the way down, it smooths out, but is not perfect and the flat spot remains. What are the possibilities and most likely cause? Re: IGNITION ISSUES MY FIRST POST! Accelerator pump needs to be cleaned - and the small jets need to be cleaned out..probably clogged or obstructed with old fuel deposits. I believe you can use SEAFOAM to maybe assist in clearing this issue. Thank you for the quick response. When I had the air cleaner housing and radiators out, I used Gumout on the jets I could see. i also did put a can of Seafoam in the tank, but have only driven the bike about 15 miles since then. Perhaps I havent worked the Seafoam through the system long enough? I have bought two 1500s, and both of them had clogged slow idle speed passages. I poured in full can of Sea Foam to a full tank of gas. but, what I did next is not normal. 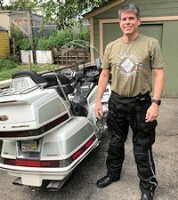 I bought the last bike in Tampa, FL and was headed west to Arizona where I lived at the time. by the time I got home, 3 weeks later, the problems were gone. the next day, I just rode that tank of fuel out, and when I stopped for the next evening, in went another can of SeaFoam. the stuff is cheap IMO for what it does. Any time I am running the bike at idle for a long time like this (for heating up the coolant after a flush, etc.) I will put a box fan in front of the bike, to move some air over it and help keep the bike from overheating.